Roaring Brook Press, 9781596435391, 32pp. 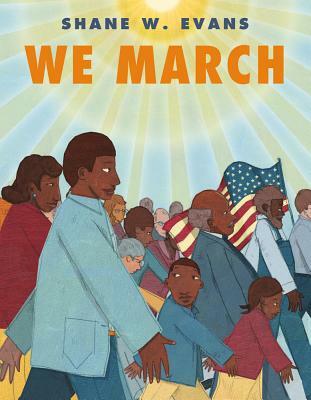 Shane W. Evans is the illustrator of numerous award-winning books for children, including Black Jack: The Ballad of Jack Johnson, and Osceola: Memories of a Sharecropper's Daughter, winner of the Boston Globe-Horn Book Award. He lives with his wife and daughter in Kansas City, Missouri.